To most, microchips are mysterious black boxes sprouting tiny metal pins, labeled with seemingly random strings of letters and numbers. But for those in the know, some chips stand out like a celebrity on the red carpet. Many of these integrated circuits found glory by directly powering products that transformed the world, while others cast a long shadow of influence over the computing landscape. And some became cautionary tales in their failed ambitions. 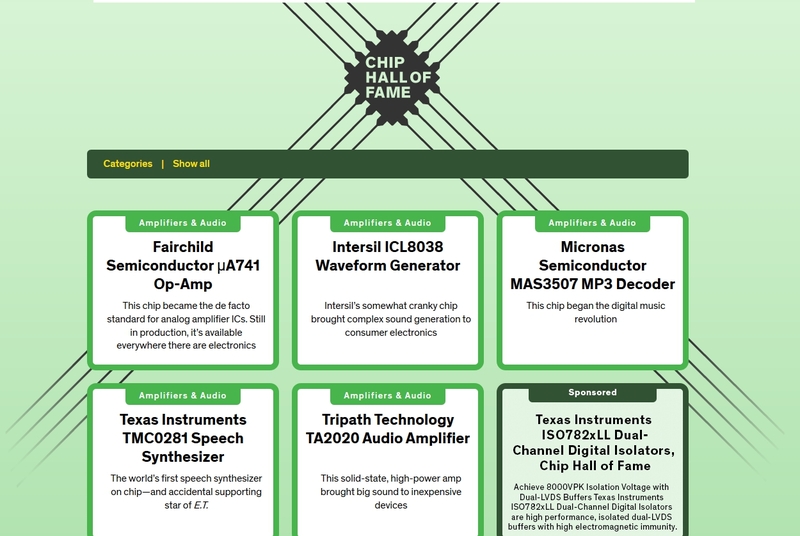 To honor and tell the stories of these renowned blobs of silicon—and their creators and users—IEEE Spectrum has created the Chip Hall of Fame. Many of the first class of inductees come from our perennially popular article (and the inspiration for the Hall) “25 Microchips That Shook The World,” written by Brian Santo with assistance from Sally Adee and Samuel K. Moore, but it also includes chips that have come to prominence since that article was published.